The Review continues to take shape in this issue, only the third volume. While still full of “fluff” reviews of family (i.e., child) oriented scripture aids and what have you, an increasing percentage of the reviews are dealing with books critical of the Book of Mormon. This issue has 7, out of 23 total, which is approximately 30% of the reviews. In a page count, I’m sure the percentage of pages dedicated to critical material is even higher (since most are of the longer variety). The pervious issue only had 4 out of 30 (~13%) deal with critical literature, while the inaugural issue only had 1 out of 18 (~6%). In addition to the 7 reviews of critical literature, there are substantial reviews/papers on Mesoamerican Harvest festivals compared with the Book of Mormon, some Book of Mormon geography, and Book of Mormon warfare. Allen J. Christenson, “Annual FARMS Lecture: Maya Harvest Festivals and the Book of Mormon,” pg. 1-31: Christenson is an expert in Mayan art, literature, and culture, and he brings that expertise to bear on the Book of Mormon in this fascinating paper on the Maya harvest festival. Much work has been done by LDS scholars of the ancient Near East to show the association of Book of Mormon gatherings to Old World, Israelite festivals. Much less has been done in comparing Book of Mormon gatherings to New World festivals. Christenson lays a foundation for that kind of work in this paper, and Brant Gardner has added to this work in his six volume commentary. In this paper, Christenson starts out by analyzing the harvest festival of modern day, Christianized Mayans, and then traces it back through time to pre-Christian, pre-Columbian, classic, and pre-classic eras, thus showing the ceremony to be contemporary to Book of Mormon times. He then makes some interesting associations to the Book of Mormon, particularly King Benjamin’s speech. If you are at all interested in the Mesoamerican background to the Book of Mormon, then I would say this is a must read. Michael J. Preece, “Review of Exploring the Lands of the Book of Mormon, by Joseph L. Allen,” pg. 32-51: Preece is a layman when it comes to Book of Mormon geography, but he nonetheless makes some insightful observations in this review. The book under review remains a popular one today, albeit in a largely expanded, revised, and updated form. Allen’s Mesoamerican geography is probably the second most popular, after John L. Sorenson’s. I myself prefer Sorenson’s model, and Preece here articulates some of my own concerns and reservations about Allen’s model. Overall this review is not altogether negative, but is actually a rather moderate review that ends up strongly recommending Allen’s work, though not without caveats. Richard L. Anderson, “Review of Joseph Smith’s New York Reputation Reexamined, by Rodger I. Anderson,” pg. 52-80: Okay, this can get a little confusing, so try to keep it straight. Richard Anderson is the author of the review, and is also the author of a paper called “Joseph Smith’s New York Reputation Reappraised” (emphasis mine). Not to be confused with the work under review (notice the one word difference – the last word), which is in part a response to Richard Anderson’s original paper, written by Rodger Anderson. Richard Anderson discusses the difference between direct evidence and hearsay, and uses eight “cases” from the materials in Rodger Anderson’s book to illustrate that difference when considering Joseph Smith’s New York reputation. As Richard Anderson concludes, the Smiths were hard working folk who did not indulge in drinking or “magic” or treasure-digging in excessive quantities. They were, by all accounts, ordinary citizens of the Palmyra/Manchester area, contra the negative portrait Rodger Anderson tries to push by relying on less-than-direct evidence. David B. Honey, “Paradigms and Pitfalls of Approach to Warfare in the Book of Mormon,” a review of Stephen D. Ricks and William J. Hamblin, eds., Warfare in the Book of Mormon (Salt Lake City, UT: Deseret Book and FARMS, 1990),pg. 118-140: One thing that is immediately evident in this review is that Honey is fully qualified to review a book on ancient warfare. He demonstrates throughout the review a stunning grasp on warfare scholarship and military history. The use of the word “pitfalls” in the title of the review had me anticipating a more critical assessment. Though he does, in fact, highlight weaknesses of approach and methodology in some of the papers, Honey is overall quite positive in his views of the book. He summarizes the many papers and offers some commentary of his own which, as I said, displays an impressive grasp of the relevant scholarship. As a result, Honey’s review actually becomes a useful supplement to the book itself for the student interested in studying the Book of Mormon from the warfare angle. 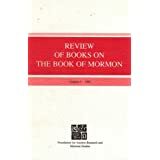 L. Ara Norwood, “Review of Covering up the Black Hole in the Book of Mormon, by Jerald and Sandra Tanner,” pg. 158-169: Norwood pokes holes in several of the Tanners arguments, and notes their tendency to downplay, dismiss, or even ignore data that does not support their theory. On several points he feels they have provided only a superficial analysis of the evidence and of the Book of Mormon itself. He also draws attention to various bits of information that don’t fit well into the Tanners theory. Matthew Roper, “Review of Covering up the Black Hole in the Book of Mormon, by Jerald and Sandra Tanner,” pg. 170-187: Matt Roper responds primarily to the Tanner’s charge of plagiarism in the Book of Mormon from the New Testament. Comparing the alleged New Testament plagiarisms to various passages from the Old Testament, Roper argues that the ideas (and often even the language) expressed in (admittedly) New Testament language were clearly available in the Old Testament world from which Lehi and his family emerged. John A. Tvedtnes, “Review of Covering up the Black Hole in the Book of Mormon, by Jerald and Sandra Tanner,” pg. 188-230: Yet another review of the Tanner’s polemic against the Book of Mormon, Tvedtnes is by far the most thorough of the reviewers. Tvedtnes takes up a number of topics in dissecting their theories, and of the three reviewers he is the only one that really focuses on the “black hole” (the lost Book of Lehi manuscript) part of the theory. Tvedtnes describes the nature of the Tanners’ “black hole” theory, and then deals with its several components, such as the supposed lack of detail, dates, geographic descriptions, and war stories, the alleged use of the Old Testament (namely, Isaiah) as filler for the replacement text, the suggestion that Amaleki was on the outside of the “black hole,” and several other aspects of the theory. In each case, Tvedtnes points out problems of both logic and evidence in the Tanners’ theory. The most interesting section, for me, was the part on the Words of Mormon. Tvedtnes advances what seems to be a pioneering argument (no one else, at this point, had suggested it, so far as I am aware) that vs. 12-18 from the Words of Mormon actually belong to a now missing portion of Mosiah. This theory has recently been more thoroughly expanded in a BYU Studies Quarterly article by Jack Lyon and Kent Minson. Daniel C. Peterson, “A Modern Malleus Maleficarum,” a review of Loftes Tryk, The Best Kept Secrets in the Book of Mormon (Redondo Beach, CA: Jacob’s Well Foundation, 1988), pg. 231-260: Peterson provides a humorous and enjoyable review of a bizarre anti-Mormon book. Tryk is part of what Peterson terms the “new-age” strain of anti-Mormonism, wherein everything about the LDS Church is considered evil and demonic. This type of anti-Mormonism was flourishing in the late ’80s and early ’90s, and though it experiened a bit of a rejuvenation during the most recent presidential election, it has mostly been irrelevant for more than a decade. Still, Peterson’s review is a fun and amusing read. Louis C. Midgley, “More Revisionist Legerdemain and the Book of Mormon,” a review of Dan Vogel, ed., The Word of God: Essays on Mormon Scripture (Salt Lake City, UT: Signature Books, 1990), pg. 261-311: In a style that Midgley is well known for – and either loved or hated for – Midgley summarizes the content of some of the essays in this collection, and explores the ideological agenda the underpins Vogel’s selection of essays, and the publications of Signature Books more broadly, and provides some interesting background on the contributors. All the while, Midgley notes weaknesses in argumentation and points out that, for the purposes of Vogel’s volume, better papers from more informed writers could have been selected. Stephen E. Robinson, “Review of The Word of God, edited by Dan Vogel,”pg. 312-318: Robinson’s polemical review, which equated the contributors of this volume, and ultimately Signature Books as a whole, with Korihor, helped spark one of the early controversies of the classic-FARMS era. Nonetheless, I don’t think that Robinson’s “Korihor” charge is without merit, and he sufficiently supports it with reference to the books content. The take away from Robinson’s review is that one must be careful not to value scholarship so much that they ultimately hold their faith hostage to it. Faith – belief, that is – will always necessitate taking some stand that extends beyond the limits of empirical knowledge; it will always require that we believe things despite the lack of evidence. As such, while scholarship can be an important tool that can shed light on the scriptures and history, and thus inform our faith in valuable ways, faith must always transcend what scholarship can strictly tell us. As I noted, the Review continues to take its shape in this third issue. 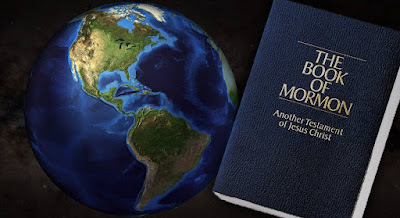 While still only about 30% of the published reviews are dedicated critical material, notice that of the 10 recommended articles – which consists, essentially, of the most substantial contributions – 70% of them are responses to critical work on the Book of Mormon. Of the three responses to the Tanners, the one by Tvedtnes is the one to read, due to its through detail. Since the Tanners continue to hold some influence (though it is considerably diminished) today, I would call his review a must-read. The Christenson lecture is also a must read when it comes to understanding the Book of Mormon in a Mesoamerican context, while I would say that Honey’s review is a must read for those seeking to study warfare in the Book of Mormon. Anderson’s review is a must-read for those seeking to study Joseph Smith and his family during the Palmyra years. Finally, if you are interested in the FARMS-Signature wars of the ’90s, you ought to read the reviews by Midgley and Robinson, as these are what kicked-off the sometimes bitter controversy. Michael J. Preece is my brother-in-law's father! He has an impressive library on Church History, Book of Mormon studies, etc., and some handy insights on the Book of Mormon, for sure.